As a photographer I’m very lucky. Life is created moment by moment. Behind the camera I get to see that people really live their lives by the things that take their breath away. I get to be there when they say I do, sing happy birthday, or celebrate a life well spent. I’ve photographed babies being born, A Korean boy’s first birthday, a sweet sixteen, a twenty first kegger, and the funeral of a decorated war vet. There is a down side. I spend time with other families more than my own. Sometimes, even when I’m home I am editing or cleaning equipment. I still think I get to see my family more than other people. I try to have coffee ready for my wife in the morning; I get my kids dressed and ready for school. I make everyone breakfast. Then as soon as I’m finished I grab my backpack and head out the door. Some days I shoot a lot, some days I find nothing worth keeping. It’s still good to be out. I’ve won awards, been published, and got to travel to some really incredible places. Things and places other photographers only dream about. I often get to take my family. I don’t get to spend a lot of time with them, but they get to enjoy the trip with them It’s a comfort knowing they’re close. There are the other trips though, the ones where I’m alone. Sometimes it’s good, 20 miles from people, days without talking or noise. I realize then how lucky I am. I get to see things most people don’t. Go places where most people can’t, just me and my gear. ← December… and half way through January. 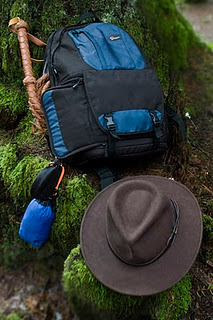 This blog entry rocks, they should use it to advertise the lowepro backback.